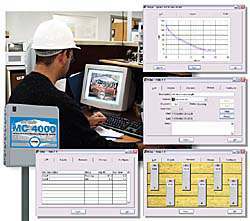 Wagner Electronics is unquestionably recognized as the experienced leader in advanced moisture measurement and management solutions and is established as the company with the most In-Line Moisture Management systems in place worldwide. 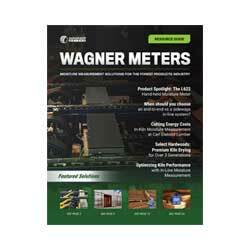 In addition, Wagner Electronics is hailed as having the easiest to use and most accurate moisture measuring technology in the industry as cited in numerous university studies. Wagner urges you to take a serious look at this new addition to the Wagner family of moisture measuring and management family of instruments. Call Wagner today to find out how the new In-Kiln Moisture Measuring system can help you to achieve your quality control goals and maximize your profit potential in today’s ever increasing competitive marketplace.